Born: 1892, Needham Market, Suffolk. 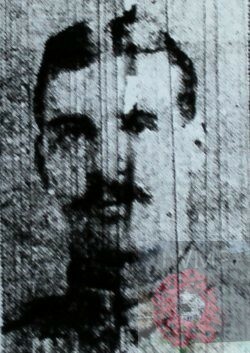 Died: 24th April 1918; age 24; KiA. Served 3 years & 8 months in France. Rank: Corporal; Service Number: 63407. Regiment: Royal Field Artillery, “B” Battery. 148th Brigade. Panel 4 to 6 & 162. Relatives Notified and Address: Son of Edward and Fanny Chenery, of 15, William Street, Ipswich. 1901 High Street, Barking, Suffolk. Edward Chenery, 32, a Coachman (domestic), born Debenham, Suffolk. Fanny Chenery (nee Rolfe), 33, born Wetheringsett, Suffolk. Charles Edward Chenery, 12, born Debenham. Bertie Arthur Chenery, 10, born Debenham. Olive May Chenery, 6, born Needham Market, Suffolk. Ida Mabel Chenery, 4, born Needham Market. Delsie Selina Chenery, 2, born Needham Market. 1911 Depot R H A, Woolwich, London. Spencer was an 18 year old soldier, ranked a Private for the Royal Horse Artillery; he was a Driver. Edward & Fanny Chenery with their family. Olive at the back, Ida next to her mum, Delsie next to her dad & Gertie at the front. The young man maybe Spencer or Bertie. Image of the Chenery family courtesy of Val. Spencer is also remembered on the war memorial at St. Margaret’s Church, Ipswich.